DAVID LE/Staff photo. 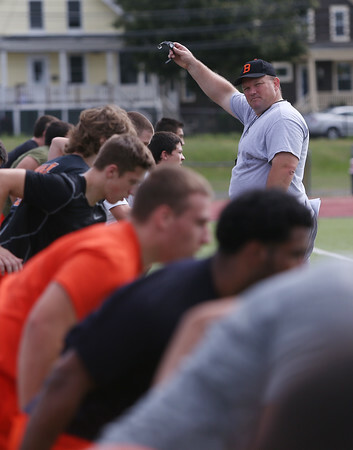 Beverly head coach Dan Bauer starts a running drill on the first day of practice for the Panthers on Monday afternoon. 8/24/15.